I just bought some Briwax yesterday and used it on some furniture. 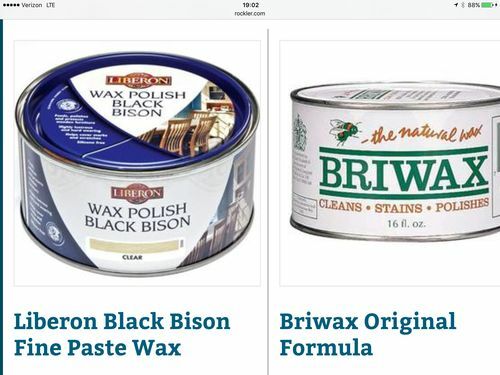 ; because of this, do you think that Briwax Wax is a harder wax than Liberon Black Bison Wax ? It was a lot easier to buff it to a high gloss than Liberon Wax. I’ve not used the Liberon but the Briwax seem to flimsy to me. I can scratch it off with my fingernail; not the best choice for furniture that get everyday use.